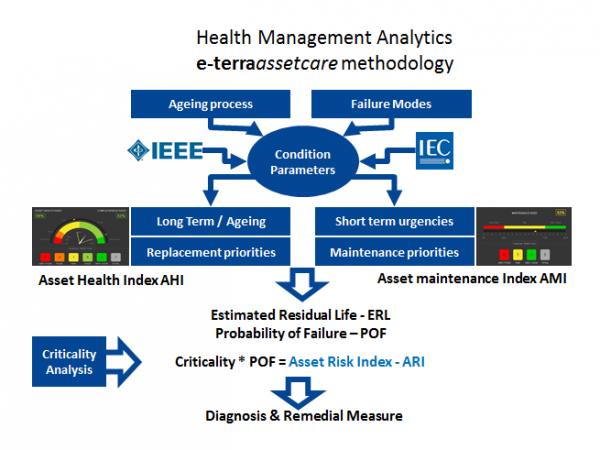 Why talk about asset health analytics now? Jean-Louis Coullon, Asset Management Activity Director: Asset management has become a key topic at most utilities. This is partly due to cost and efficiency considerations, but also to technology advances. On the cost/efficiency side, knowing how to set preventive and curative maintenance priorities or how to extend the life of ageing equipment can bring significant benefits. As for technology, advances in big data and analytics have enabled projects that were not considered as feasible in the past. This is why asset management is a potentially very attractive area for improvements in asset-intensive industries such as the power transmission and distribution sector. Hence the creation of Alstom’s specialised Asset Management department. The international rise of asset analytics is formalised in the recently issued ISO 55000 standard. It is to asset management what ISO 9001 is to quality. 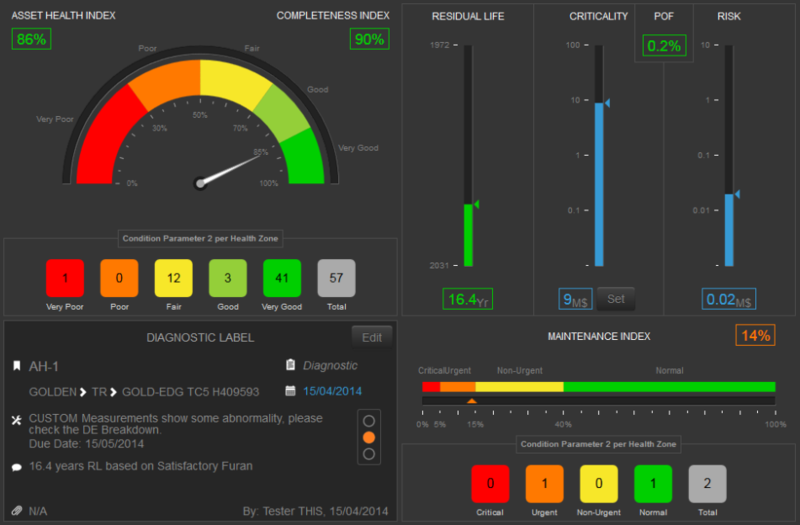 Our health analytics solution is firmly in line with ISO 55000 recommendations. It makes sense out of data. It gives asset-intensive transmission and distribution utilities comprehensive, actionable assessments of the condition of their equipment. They can then make fully informed strategic decisions to replace or maintain it. The result? Greater reliability and better return on investment. How do you choose the data you need? in January 2014. We brought together experts from across Alstom Grid to identify the chief ageing and failure factors, or “condition parameters”. They worked from Cigré and IEEE recommendations, adding to them as needed. Condition parameters then make up two indices to cover various time horizons – the Asset Health Index (AHI) and the Asset Maintenance Index (AMI). AHI is oriented towards the replacement decision and built to estimate the number of years to a piece of equipment’s end of life. It takes the long-term view. AMI is short term and is about maintaining equipment to fix immediate issues. I’d like to stress that our solution is totally flexible, and can be adapted to all types of asset, and not just Alstom’s. It can be tailored to a utility’s specific context. Business objectives should be clearly defined at the outset, so that you can orient the indices accordingly. AHI/AMI are at the heart of our analytics methodology. They measure how assets compare against the ageing and failure mode models – in other words, how healthy they are. The utility then maintains or replaces the asset? Not quite. The readings are not yet actionable at this point. They are used to ascertain the asset’s estimated residual life (ERL) and its probability of failure (POF). So now you know how healthy your assets are? Right. But what if switchgear, say, is unhealthy? What you actually do with it depends on how critical it is to business operations. So we carry out a criticality analysis. You mean how switchgear failure impacts safety, the environment, business etc.? And how do you measure it? In millions of dollars, euros, etc. We believe that a monetary term is the best unit of measure, because it allows you to add together impacts from multiple origins. We multiply this criticality impact by the POF to get the asset risk index (ARI). ARI gauges the utility’s exposure to risk – in other words, it translates the Asset Health and Maintenance Index (AHI and AMI) readings into practical business terms. You now have a comprehensive diagnosis of the health of your asset. You can decide what action to take – if any. But most utilities regularly monitor their assets, don’t they? Of course. But look at the result – scattered Excel files that only experts can really interpret. They aren’t much use to asset managers seeking to set performance or budget priorities. 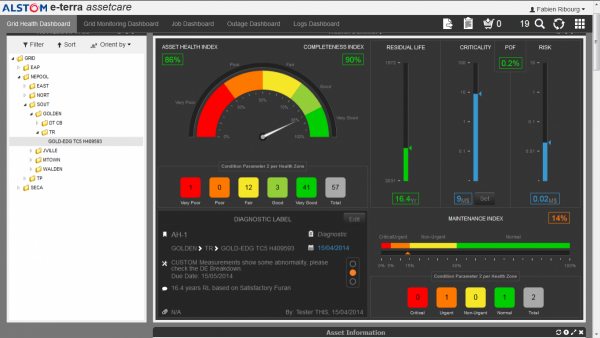 With our analytics solution the data is all there at a glance.Look at the display below, showing all analytics from Asset Health Index to Asset Risk Index in the top part, and Asset Maintenance Index with diagnostics and remedial measures in the bottom part. Here the Completeness Index is 90%, so the analysis is based on most of the condition parameters. But what if it is much lower? the indices. And gradually you’ll strengthen your diagnostics and decision-making. It’s an iterative process like all good management processes. Our asset health analytics solution has proved itself, for example, for 12 different kinds of asset in Qatar where Kahramaa is now an active user and promoter of the solution.